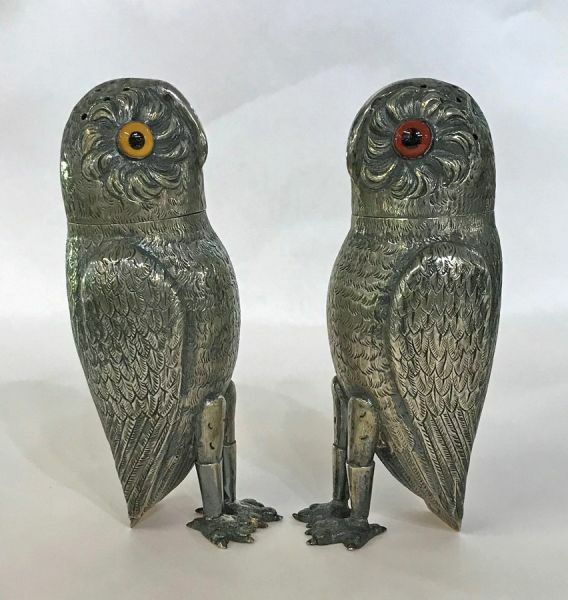 Antique Continental Silver owl form salt & pepper castors, with glass eyes. Circa 1900. 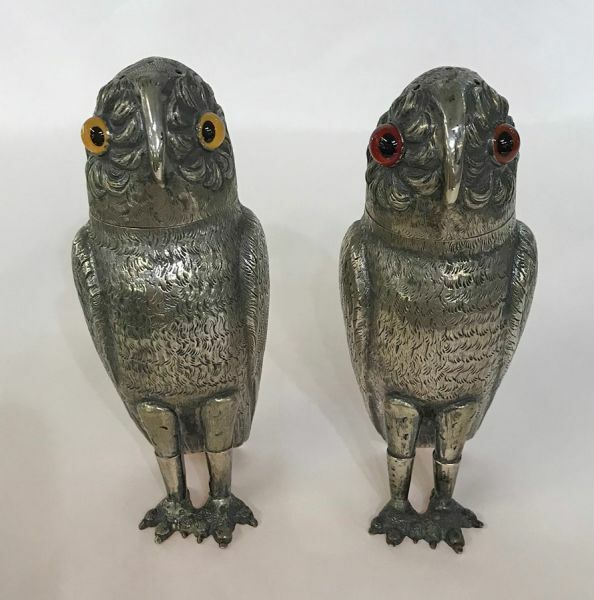 4 1/4” high.